birds : On Monday I received an email from Tony Bisson that he had found an interesting Aythya duck on the lake at Grande Mare Golf Course. 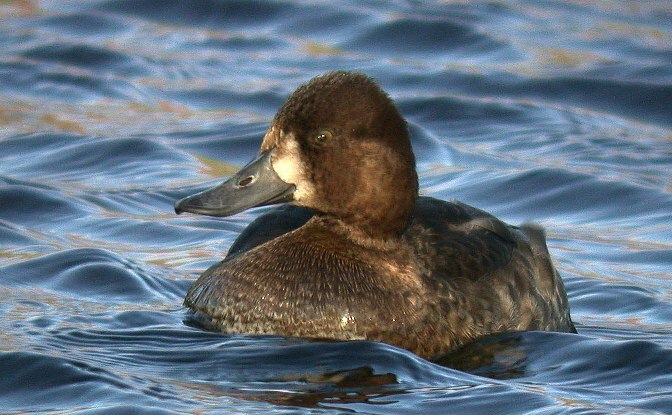 He thought it was a juvenile female Scaup but he wasn't totally happy with the ID. When he sent me some photos later that day it did indeed look interesting and I immediately thought it was a potential candidate for Lesser Scaup, but of course the ID of the species is not straightforward. So today I whizzed out at lunchtime, shoved on my wellies and found the bird on the small pond swimming with Mallards. I watched it for about 20 minutes and took some photos, but I am not much nearer an identification! One of the problems is that the bird seems to be a first-winter and so any plumage features are not obvious. The bird did not appear very large in the field but there were no other Aythyas to compare it to. 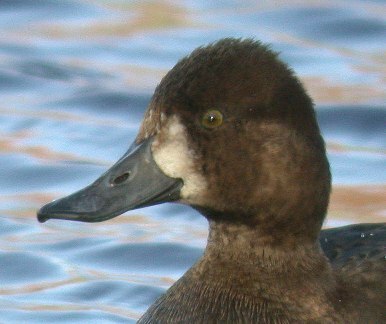 The head seems to be relatively small, unlike the big blobby head of a Greater Scaup, and the head shape looked quite close to Lesser Scaup, peaking behind the eye. A Tufted Duck will often show a white blaize around the bill but should show some longer feathers on the rear crown. This bird shows some degree of 'shagginess' on the crown and I wonder if this is a sign of Tufted Duck. 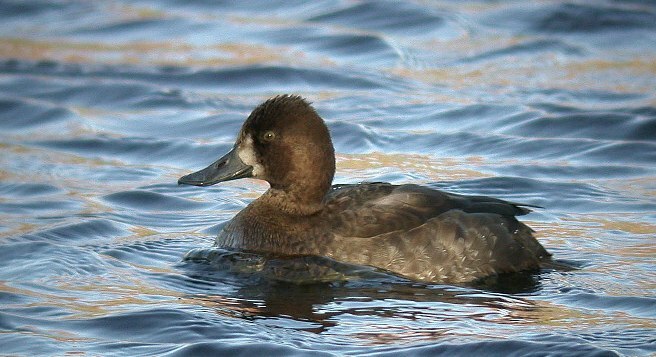 On an adult bird, the bill pattern should distinguish whether it is a scaup species or not, but with this young bird, the bill is pretty uniformly greyish and of little help. The bill does not seem big and fat enough for Greater Scaup though. From what I have seen, I am pretty convinced that the bird is not a Greater Scaup just on structure alone, but I am not convinced that it is not a Tufted Duck. Of course the key thing is to get a photo or a good view of the wing pattern which is the main ID feature, so hopefully it will stay ages and we can get it sorted.